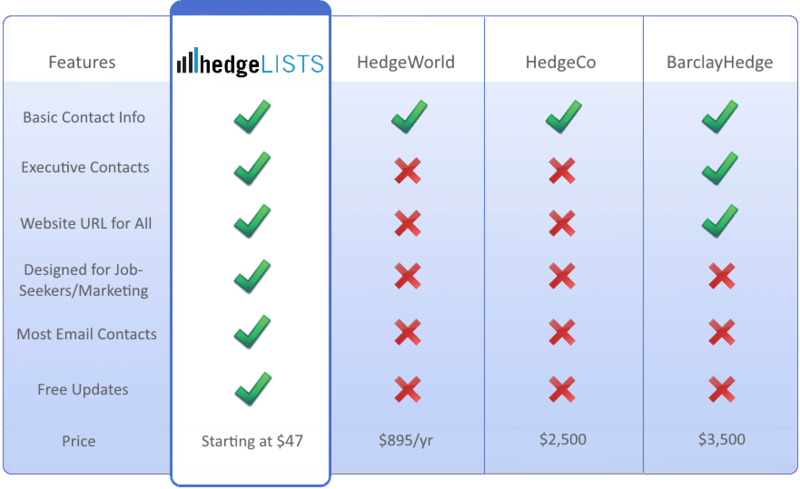 HedgeLists.com offers the most up-to-date and user-friendly hedge fund lists anywhere, all for an incredible value. Because our lists are segmented by country, region, and strategy, you get exactly the information you need without paying thousands. Prices vary, but most lists are less than $200.